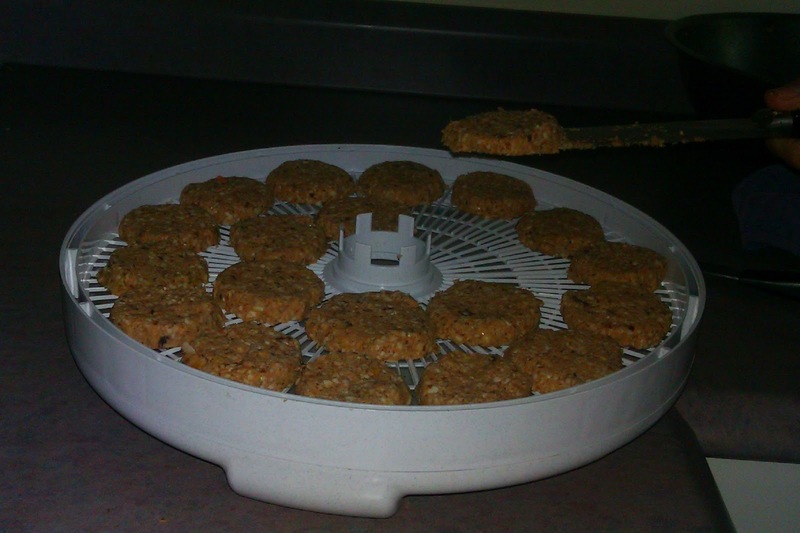 How proud I felt when Eric, my spouse, said: "I want to make raw cookies too." To appreciate this fully, you must know that Eric is a trained chef. He no longer works in that industry but my oh my, he's got the goods! This recipe is top notch. This cookie is not sweet, it is more like a dry gourmet biscuit, nice for breakfast with fruit salad, yogurt or cottage cheese. 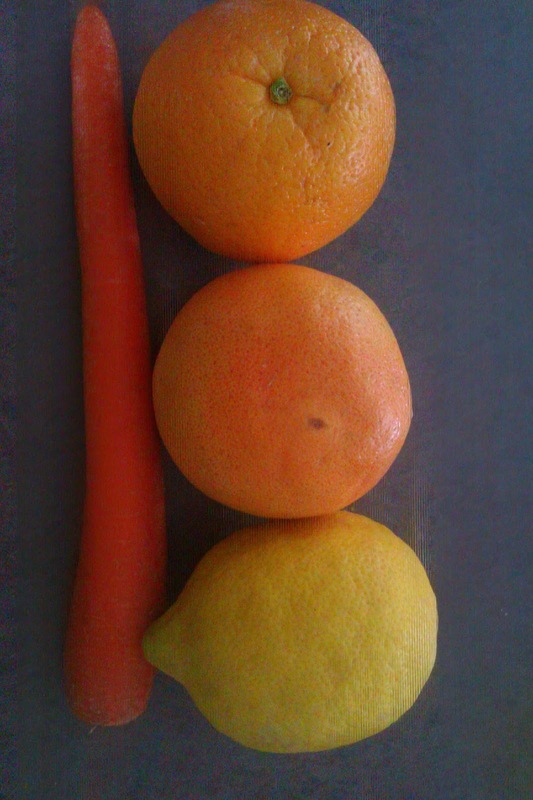 4 cups of pulp from juicing: 6 oranges, 2 grapefruits, 2 lemons and 6 large carrots. Begin with juicing the peeled citrus fruits and carrots. Drink up! Place the pulp in a large bowl, remove bigger fibrous pieces and any lemon seeds, etc. Mash and mix. Dehydrate at 105F for 24-26 hours, until they are completely crisp. As with all dehydrated foods, it is best to keep refrigerated in an airtight container and eat within 10 days. If you leave them in the cupboard, they will go sour within a week. 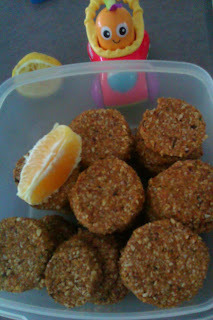 We thoroughly enjoyed topped with thin slices of orange and granny smith apple.